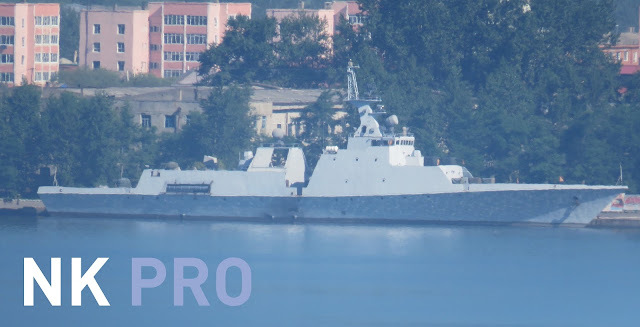 Exclusive new images featured in one of our articles for NK News Pro have revealed the construction of four 77 metres long corvettes is in an advanced stage, once again showing rearmament of the ill-equipped Korean People's Navy is continuing at an unexpected pace. Although unfortunately, our full analysis is behind a paywall, an NK News article featuring various experts in the field of North Korean weapon proliferation on the new corvettes is available for free. Alternatively, you could wait for the full analysis in our upcoming book: The Armed Forces of North Korea: on the path of Songun. Do you think "North korea" is capable of building these new weapons on its own? I will welcome a detailed comment from you. Thanks. Three actually, HD images of this ship are included in the article. Two classes in this image, another class in Nampho. And another two corvette class in Nampho. And new FAC - 45 mt. +/- 500 ton. Who is behind Oryx blog? Are you basically a Helion affiliate? I can't find any background information about the authors. I saw your upcoming book on DPRK and my local hobby shop carries all of their titles - I was wondering if you're an adjunct of Helion or some other publishing group, whether you've published any other titles still in print, and/or host a commcial website. When you said "behind a paywall" I wondered where I go to pay and keep reading. Many thanks, and much more to come! © 2019 Oryx Blog. Simple theme. Powered by Blogger.